If you want to improve the fluidity, reach, and strength of your fingers, you can accomplish this with finger exercises. 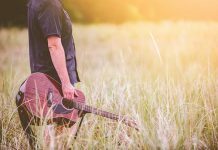 By adding just five minutes of exercises into your daily routine, you will improve your guitar playing and ability to play for longer periods of time. 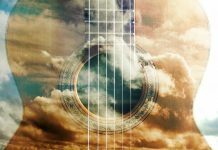 These guitar finger exercises are great for both beginners and advanced players. Why should I do finger exercises? ​Every guitarist runs into chords that stretch beyond their limit of reach. By developing the flexibility of your fingers, it makes it easier to reach those difficult chords. F major and B flat anyone? Have your fingers gotten tired or cramped up after 20 minutes, but you still have another 40 minutes left in your practice? ​This is because you need to develop the muscles in your fingers. By working on these exercises, you'll be able to play for longer without digit fatigue. ​What exercises should I begin with? A great exercise for beginning guitarists is the 1-2-3-4 exercise. This is a notorious exercise that guitarists ranging from skilled to beginner add to their daily routine. Start out by putting your first finger on the high E-string on the 1st fret with a down stroke. Then while staying on the high E, place your 2nd finger on the 2nd fret and do an up stroke. Next you'll use your 3rd finger on the 3rd fret with a down stroke. Finally, use the pinky or 4th finger on the 4th fret and do an up stroke. Keep your fingers on that same string but place the 2nd, 3rd, and 4th frets with your remaining fingers. Your strumming hand will be doing an alternating down, up picking stroke. Do this on every string. Once you get the hang of it, you can begin to move through the exercise faster. Make sure to keep your fingers that aren't playing a fret in the space of that original fret. The point of the exercise is to stretch the finger span. This is a simple warm up to include in your everyday practice. ​For the visual learners, take a look at Angelo's video. Don't get discouraged by his first sequence. Angelo is just showing off. This is a good goal to have as a beginning guitarist. ​What is a good finger stretching exercise? 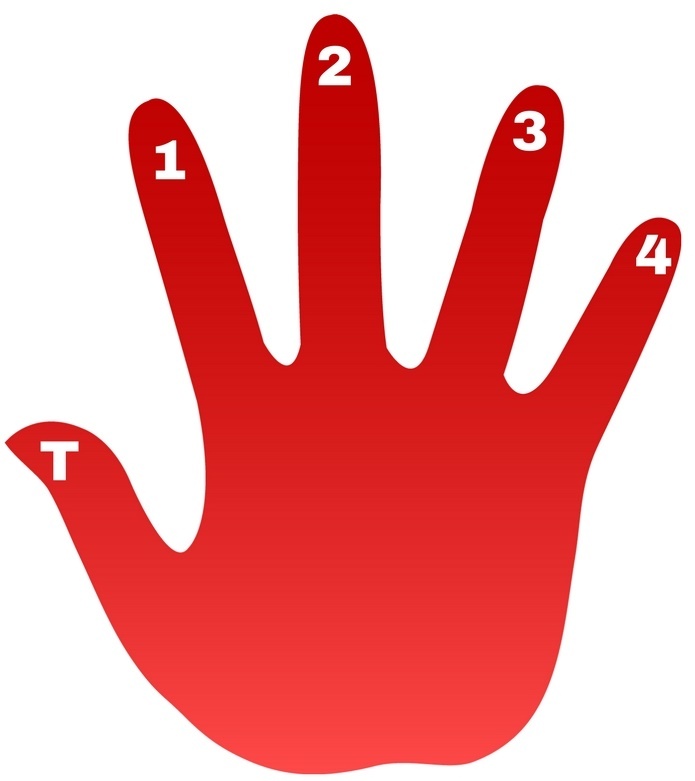 This exercise is similar to the 1-2-3-4 exercise, but we are going to focus on curling the fingers closer to the palm. Make sure to practice this slowly to build muscle strength. Add this exercise to your routine if you have troubles stretching to reach chords. First, we will start with your first finger on the E-string, 8th fret. The rest of your fingers will stay on the E-string: 2nd finger on the 9th fret, 3rd on the 10th fret, and 4th on the 11th fret. After you hit your pinky, move your 1st finger to the A-string and complete the process with the rest of your fingers. Move through this exercise slowly. At the end when you hit the high E-string your fingers will be completely curled towards your palm. It's important to not rest the fretboard on the palm, but have it as close to your palm as possible. Try to keep your fingers in the same place and avoid scrunching them together. When you can successfully do this exercise, try moving your 1st finger back a fret while keeping the rest of the fingers on the same frets.​ This will stretch the space between your 1st and 2nd fingers. Then you can practice doing the same with your pinky. Keeping your 1st finger on the 8th fret, move your 4th finger up to the 12th fret. Complete the exercise again! That wasn't too bad, right? The challenging part of this exercise it to stretch BOTH your 1st finger and your 4th finger. 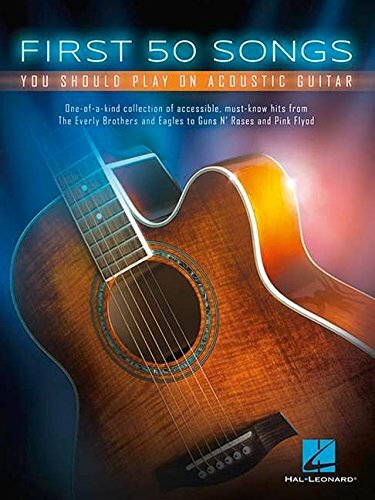 You'll do the same exercise, but with your 1st finger on the 7th fret, the 2nd finger on the 9th fret, 3rd finger on the 10th fret, and your 4th finger on the 12th fret. Again, visual learners can watch the video below to learn about finger stretching exercises. I like the Justin Guitar's video breaks it down with a close up video, Finger Stretching Exercises. Again, it's important to realize the difference between pain and soreness. Soreness is expected, because you are stretching your muscles in ways they aren't used to being stretched. Pain is not normal and you should talk to a doctor if you are experiencing pain. With these exercises, you can help build strength and increase dexterity in your fingers. If you add these mini-finger workouts to your daily routine, you'll be all over the fretboard in no time at all!